Powered by SoftSwiss, 7Bit casino is among the latest Bitcoin casinos which gather interests of the gamers all over the globe. It’s a simple yet aesthetically commendable casino. Nevertheless, if you give it a try and dig a little deeper, you shall find numerous advantages and features that will definitely give your gaming experience a great boost. Furthermore, the site is really easy to navigate on desktop computers or mobile devices. From all BTC casinos out there, we found 7Bit to be the one offering widest range of online pokies. They have all the big guns on board – NetEnt, MicroGaming, BetSoft and the Softswiss proprietary software utilized on board. 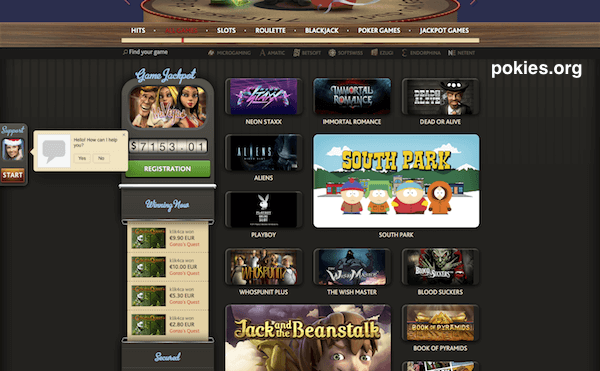 The 7Bit Casino website probably looks familiar to those who are acquainted with the other Softswiss brands. The blue and black color scheme is heavy on the eye at times and might cause few screw ups when attempting to deposit or registering. The utilization of Softswiss software allows them to access to a number of the major games providers – Betsoft, Softswiss, Microgaming, Endorphina and Amatic, as well as the live dealer games that are courtesy of Ezugi. Softswiss itself provides the majority of table games. 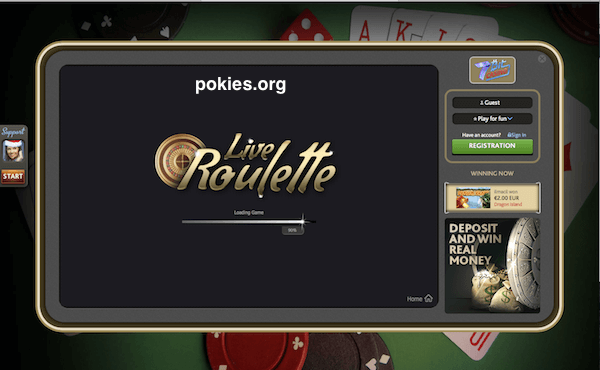 Players can still find Endorphina and Microgaming versions of blackjack and roulette while Betsoft provides a huge library of varying 3D Pokies. Other poker machines offered are Neon Staxx, Starburst, Immortal Romance and Bust The Bank. Aside from 2 Quickfire titles, The Dark Knight and King Cashalot, all progressive pokie machines are from Betsoft. The jackpots are usually accumulated across all the Betsoft software’s partners allowing them to reach 6 figures in Australian dollars. 100% up to 4BTC Play Now! 100% match up to $100 or 1 BTC + 75 free spins on first deposit. 100% match up to $100 or 1 BTC + 75 free spins on second deposit. 25% match up to $100 or 500 mBTC + 25 free spins on third deposit. 25% match up to $100 or 500 mBTC + 25 free spins on fourth deposit. 25% match up to $100 or 1 BTC + 50 free spins on fifth deposit. The bonus has to be turned over 35 times before the bonus converts into withdrawable real money. The video slots contribute 100 percent of wagering towards the requirements while all the other games contribute only 5 percent. Users only have 14 days to clear all the wagering requirements. Failure to do so shall result in the forfeiture of winnings and bonus. Bonuses are more generous for users of Bitcoin, since there are no transaction fees/fraud involved, making it less expensive for the casino to offer them. The website isn’t optimized well for a touch screen, but players can still pinch and scroll relatively easily when signing in. The games are mostly mobile-friendly which provides an enjoyable gaming experience once they have been launched. Since 7Bit accepts several payment types, a comprehensive registration is required, even for individuals who like using Bitcoin. However, compared to the FIA-only casinos, the info needed is pretty curtailed – address, name and telephone. The site also accepts payments through some of the most common online payment solutions – Neteller, Ukash, Skrill and Qiwi. These payment options are rather unique for a BTC casino, since most of them only accept this and a few other cryptocurrencies. 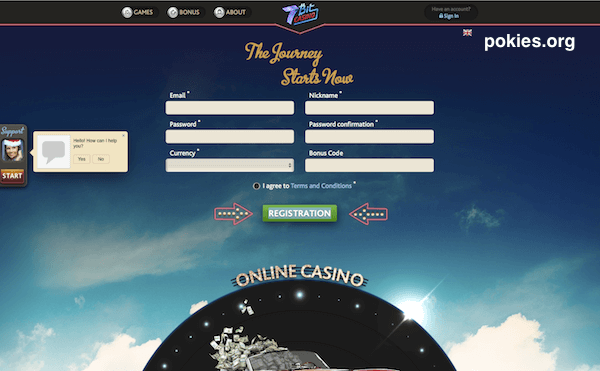 Please note that the 7Bit casino doesn’t take any withdrawal or deposit fees from the players. however, fees shall be accrued on the player’s side depending on payment options. Bitcoin payments can also be made directly to 7Bitcasino wallet or they can be paid out using the Cubits Pay, that allows direct funding via an existing Cubit’s account. Live support is very attentive and always happy to be there with polite and quick responses 24/7. For those whom the new internet era has instilled the fear of real-time communications support might also be contacted via email and the responses are received quickly. Players at 7Bit can be rest assured that all their private details are very safe. Bitcoin gaming eliminates lots of these concerns just by itself. However, those who decide on using conventional payment techniques are protected with the 128-bit SSL encryption. Overall, 7Bit is solid choice for those looking to play pokies for real money or Bitcoin. The variety of games matches that found on the finest online casinos out there. Their main advantage over others is the ability to accept cryptocurrencies and FIAT money under one roof, by utilizing a couple of simple solutions.